Addressing family law concerns can create an extremely stressful situation and it’s not uncommon to feel frustrated, angry or upset. When emotions are running high it’s difficult to know where to turn or who you can trust. This is why contacting an experienced, competent and trustworthy Lake County IL divorce and family law attorney is so important to ensure that your rights are protected. 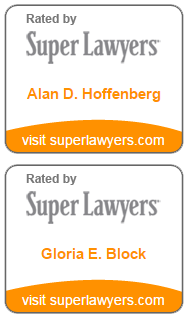 You and your family can always trust the hardworking and reputable family law attorneys at Hoffenberg & Block. We have been providing comprehensive divorce and family law representation to clients in Lake County and surrounding north eastern Illinois communities for over 45 years. Whether it’s divorce, child support or working to retain your parental or fathers’ rights, family law will play a direct role in outcome of your case. When your future and the well being of your family is on the line, it is important that you contact an experienced Lake County family lawyer who understands domestic relationships and can guide you through this difficult time. At our firm, we offer compassionate service as well as skill and dedication to each of our clients. 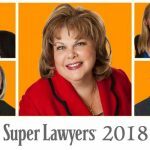 By hiring our firm, you will be receiving the hands on attention you deserve from a highly qualified legal professional who will guide you every step of the way. No matter which party files the actual divorce papers, ending a marriage is stressful on everyone involved. During this time, you want an experienced Lake County Divorce Attorney by your side to protect your rights and provide you with the necessary legal counsel during the divorce proceedings. You want an attorney who will vigorously represent your interests, while retaining the compassion and respect you expect and deserve. 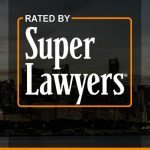 We endeavor to instill a sense of confidence in our clients by aggressively protecting their rights and exhibiting extensive knowledge of Lake County IL divorce law. As a marriage dissolves the complex issue of division of property can be emotionally charged and difficult to resolve. In these situations, it is important to seek help from an experienced Lake County property division lawyer. The actual division of marital property can be extremely complicated, and can result in unnecessary anxiety and uncertainty. Our Lake County property division attorneys are fully prepared to assist with even the most complex property division matters. 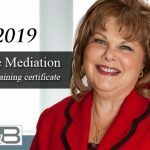 We will make every effort to help you and your spouse settle these matters through negotiation or alternative dispute resolution. If this is not possible, we also are accomplished litigators who will fully advocate for you in court. At Hoffenberg and Block, we provide personal, professional representation for a wide range of child support matters. Whether you need to establish child support or are in need of assistance with child support collection or modification, we are prepared to guide you through every step of the process. Our Lake County child support attorneys are dedicated to helping you obtain the best possible outcome for your situation. When determining child custody and visitation matters, either during or after a divorce or for unmarried parents, the courts will decide based on the best interests of the child. What is in a child’s best interest may not be easily determined. Additionally, the difference between joint and sole legal custody may be unclear. In these situations, an experienced Lake County Child Custody lawyer can explain the process and guide you through to a favorable outcome. Our Lake County IL prenuptial agreement attorneys have a firm understanding of Illinois laws regarding these types of cases. We will help you to draft an agreement that is clear, understandable and that will be valid in court. 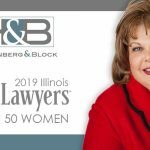 The divorce and family law attorneys of Hoffenberg and Block have been serving clients in Lake County, Illinois including the communities of Libertyville, Vernon Hills, Mundelein, Lincolnshire, Buffalo Grove, Lincolnshire, Lindenhurst, Long Grove, Highland Park, Deerfield, Grayslake, Gurnee, Lake Forest, Lake Bluff, Waukegan, Barrington, and Riverwoods in Illinois for over 45 years.